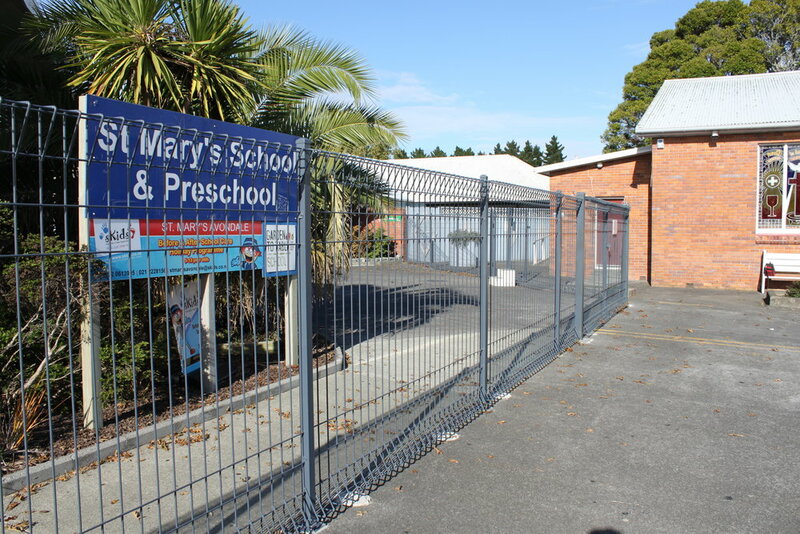 Watershed NZ needed a robust fencing solution for St Mary's School that was 'high on security and safety, without sacrificing style'. 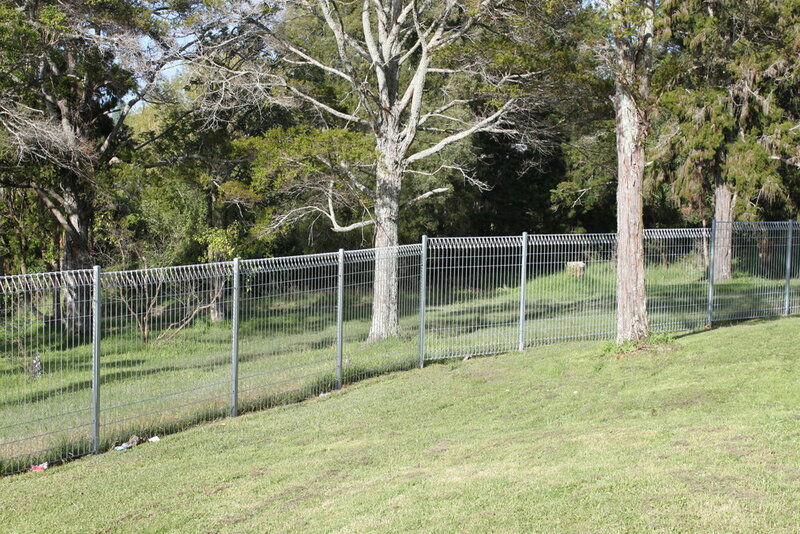 Hampden Fence installed powder-coated folded panel fence and gates to give a tailored, professional appearance. 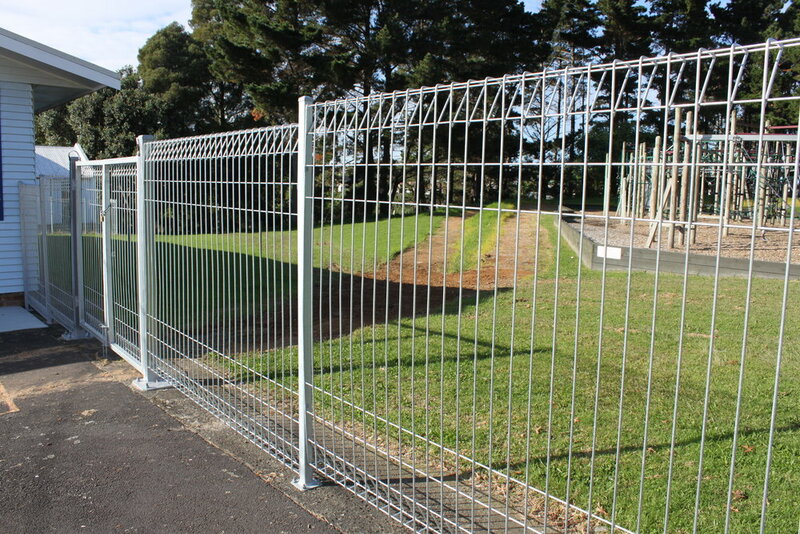 Highly versatile and built to last, Folded Panel Fencing is lifted to another level in style with powder coating. 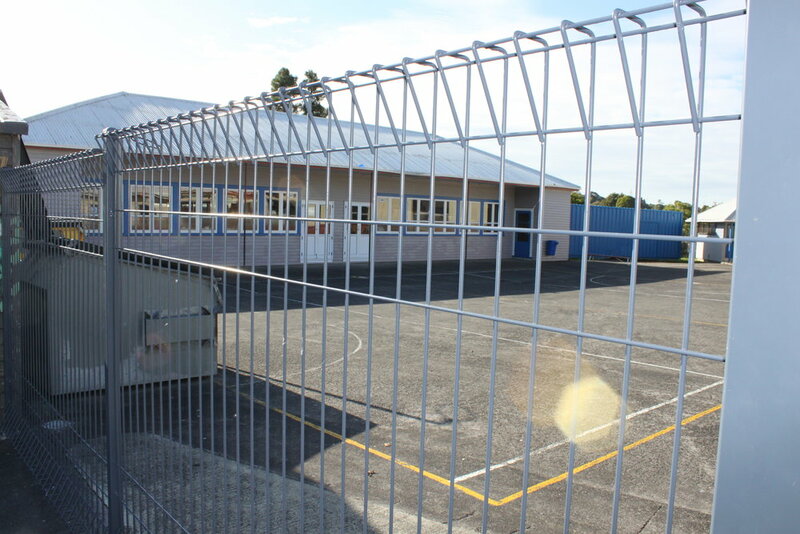 A wide range of powder coating colour options allows the installed fencing and gates to effortlessly match the existing colour schemes of the school. 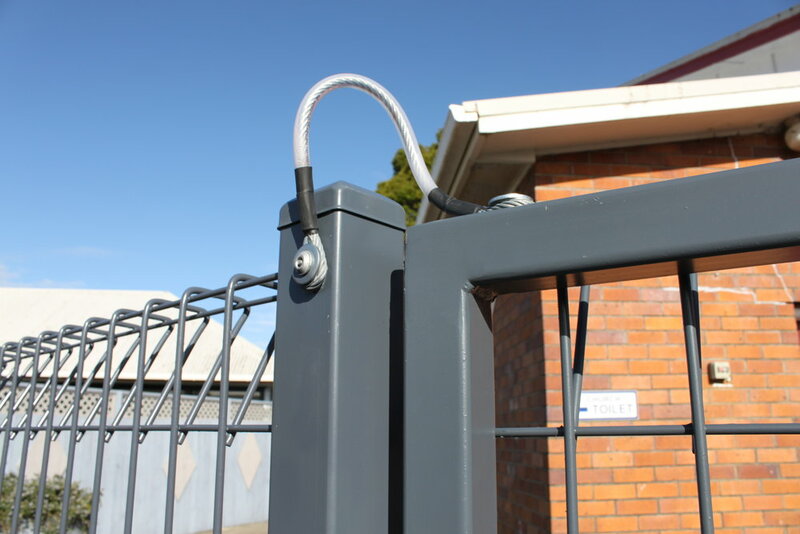 Fall-arrest cables were attached to all swing gates installed across the school campus to provide added safety and security. 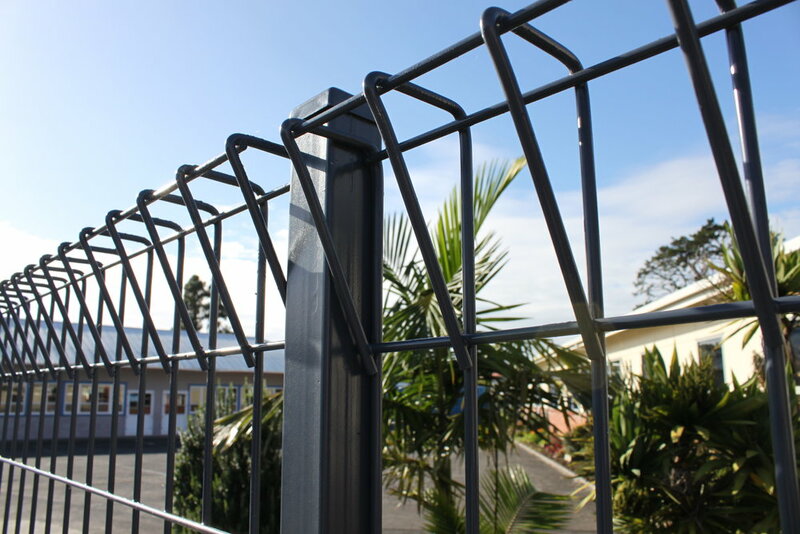 Recently introduced by Hampden as a new safety enhancement to all installed swing gates - these simple, yet highly-effective fall arrest cables ensure that, should the gate become damaged and hinges fail, the gate is unable to ultimately fall causing further damage to property, or injury to pupils or staff of the school.